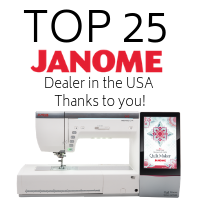 The Fabric Garden is proud to participate in the annual State of Maine Quilt Shop Hop. State of Maine Quilt Shop Hop is an annual event that runs the entire month of April. Over 35 Quilt Shops throughout Maine participate. It's a great excuse to get out and see the beautiful state of Maine in the springtime! Visit participating quilt shops during April, get your "Passport" stamped, pick up your free charm square at each shop! Over $17,000 in prizes - different prize tiers based on number of shops visited. Adults and children can hop! Visit www.maineshophop.com for details , printable passports, free pattern download (April only), prizes and Shop Challenge Quilts. Our Hours are extended in April for Maine Shop Hop! 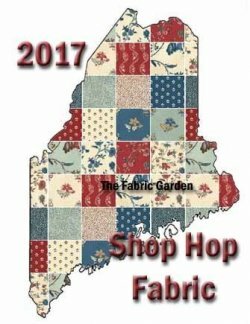 The Fabric Garden is happy to be the Grand Prize sponsor for Maine Quilt Shop Hop 2017!